2012 Ford F350 ~ Only 76K Miles! Stock # 5812, 6.2L SOHC 16-Valve EFI Na V8 Flex-Fuel Engine, Automatic, 76737 mi. Trim: ~ Only 76K Miles! 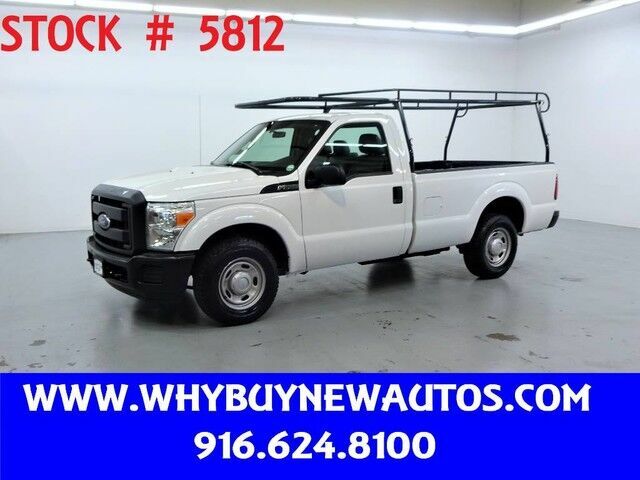 This 2012 Ford F350 is a lease return with 76K miles. This truck is ready for work! Loaded with A/C, tilt steering wheel, AM/FM stereo, CD player, towing package, brand new Rack-It lumber rack, and four brand new tires. Priced at $21,980, this truck offers great value for your money. Come see it today! Refer to our website for a full list of over 150 trucks. ~ www.WHYBUYNEWAUTOS.com ~ You won't beat our quality, you won't beat our price. Why buy new? Come see for yourself! 2014 Ford F150 ~ Only 67K Miles! 2014 Ford F150 ~ Only 66K Miles! 2017 Ram 1500 ~ Only 5K Miles! 2014 Ford F150 ~ Only 71K Miles! 2013 Chevrolet Silverado 1500 ~ Extended Cab ~ Only 76K Miles! 2018 Chevrolet Colorado ~ Extended Cab ~ Only 4K Miles!